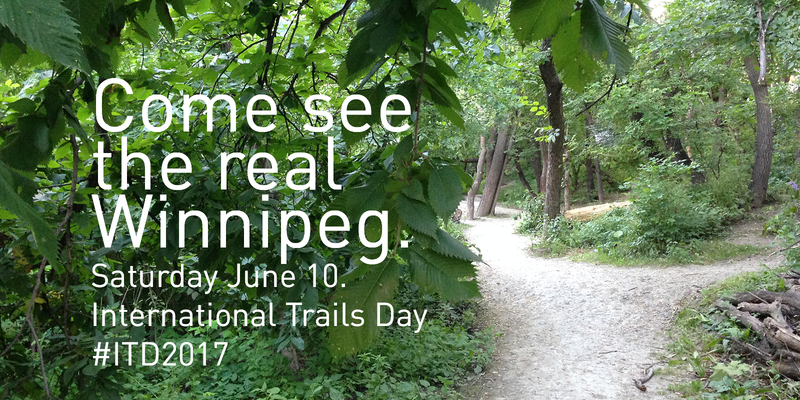 Every year we celebrate International Trails Day as a way of recognizing the contributions of trails to a community and to a city. This year our party is on the move! 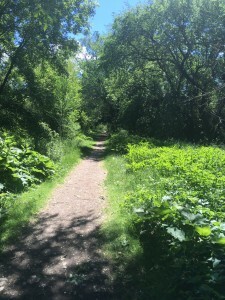 We want to see as much of Winnipeg’s Trails as we can and we want you there with us! 9:00am – Meet up at The Forks Market Plaza for coffee and doughnuts and head south! 10:00 – Arrival at Crampton’s market. Tune-ups and set up. Come celebrate the first annual BenchMARK competition winner unveilings! Together with our partner StorefrontMB, we will kick off the day by celebrating the installation of two pieces designed last summer for the BENCHmark competition. 10:30 – Unveiling of Pothole Bench. We’ll hear from a few sponsors as well as the bench designer, finish any last bikes in the tune-up stand, and enjoy some tasty treats provided by Crampton’s Market. When the speeches subside, join us as we slow roll east to the next site. 11:40 – Unveiling of Scattered Spheres. Come meet the designers, learn how a new machine was invented just for these beautiful orbs and check ’em out! 2pm – 6pm We bring the party to you! We’ll be starting up our Mobile Bike Jam Pop-Up BBQ! We’ve outfitted a cargo bike with all the fixings you need for a backyard BBQ and we’re bringing it to a trail near you! This map is only an approximation and subject to radical change, for instance don’t worry St.B we’re aiming for ya, and Riverview, we’re going to do our best. Meet us at the checkpoints that appear in the app, or on this page or see the map below to find the cargo bike WTA roving headquarters in real time! Better yet, meet us Saturday in the am and come for the entire thing! 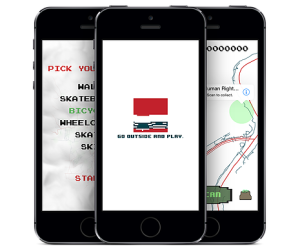 Download our app. 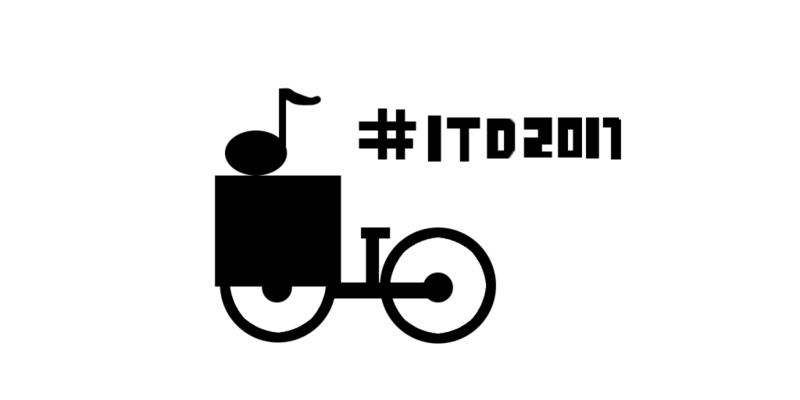 Expect to find some temporary, lucrative (in terms of points) special gems to pop up on #ITD2017 only! Last year the people with the most points won a sweet longboard at the end of the summer. 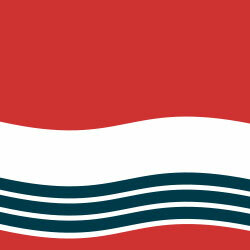 Stay tuned for special announcements. 7pm – 9pm – Our day will be winding down with exciting speakers and a panel discussion at Fools+Horses where we will hear from some local experts and enthusiasts for an informal event entitled Blazing Trails: The past present and future of walking, cycling and the identity of Winnipeg. 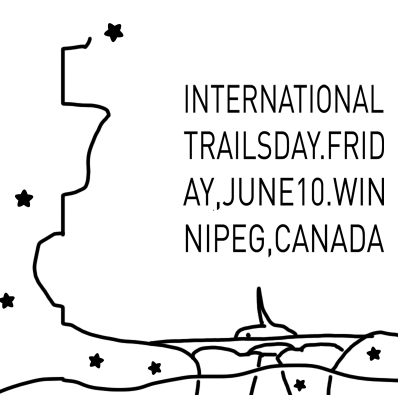 Can’t make it to the ride but still want to celebrate International Trails Day? Make it count. 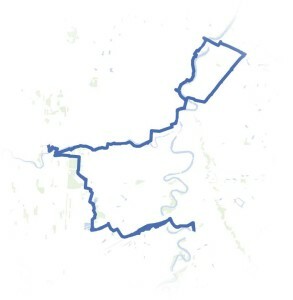 You can help us count traffic along the trails. It does not take long to become an expert in how your favourite trail gets used. 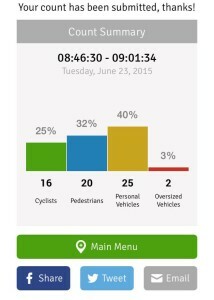 Spend an hour on your phone people-watching using Green Action Centre’s made-in-Manitoba, kid-friendly traffic counting app. This is a great way to get outside and get involved. The data collected highlights which trails are being used, when they’re being used, and who is doing the using! 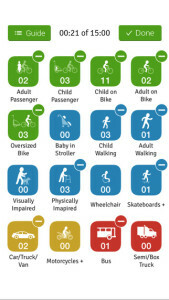 This information helps us to build a better trail network for everyone. Winnipeg Trails staff has been counting and analyzing traffic patterns. You can contribute. To participate, all you have to do is download the app at CounterPointApp.org. Once you are ready, join one of many counterpoints around the city or set up one of your own on a trail near you. Count what goes by, screenshot your results and share them with us on social media! We recommend anything from a 15 minute to a 2-hour count between 1pm and 3pm. 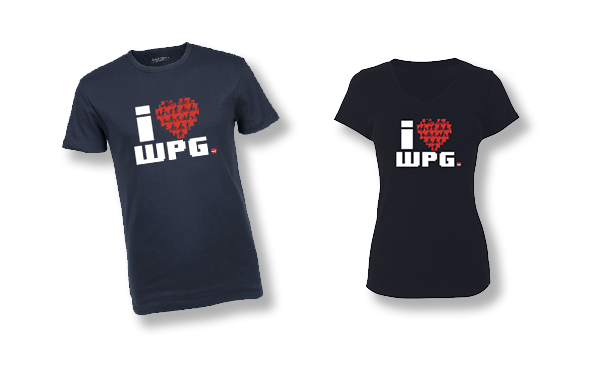 Protip: join the Winnipeg Trails team inside the app and talk to an organizer (or just send us an email saying Hi). We’d love to know who you are so we can consider using your data in our analysis. Send us pictures of you out on the trails! Find gems – share gems with our new app. 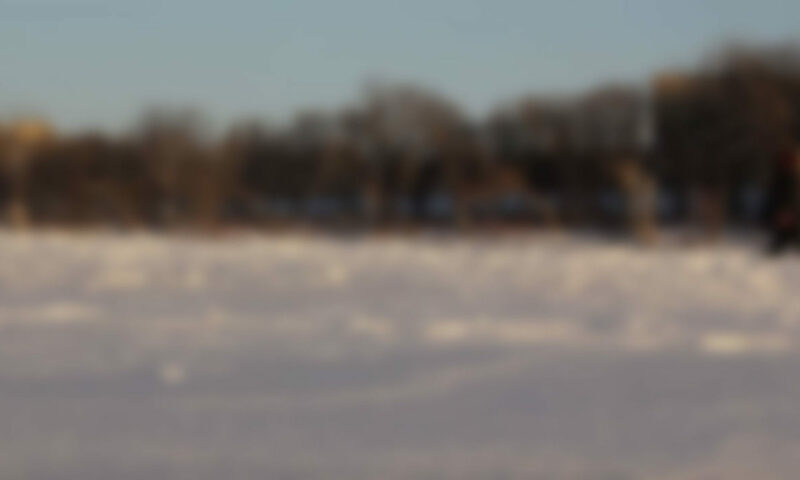 We have been testing and refining and adding to a scavenger hunt-style Winnipeg Trails app and we think it’s pretty cool. We have added a bunch of new gems and are looking for more! Starting June 10 we will be launching our newest Gem Blast Contest! The player with the most gems at the end of the summer wins a grand prize! If you are already familiar with the app, we challenge you to suggest new gems. We know there are hundreds more out there that deserve to be shared. Tell us where they are! The world needs to know!